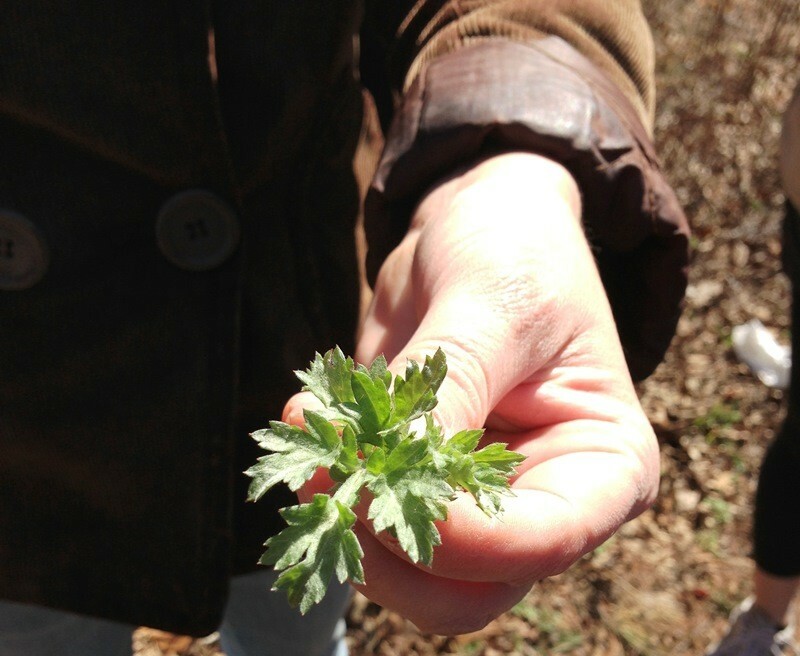 My knowledge of foraging was pretty much nonexistent. Sure, I knew there were some types of wild mushrooms you could collect and eat. I also knew some types might kill you, so I never really tested the idea. I knew violets were edible and used to pick them in my backyard as a kid and dip them in sugar or honey. I knew dandelion leaves were tasty, but bitter, and mixed well with other lettuces in a salad. Okay, so maybe I did know a few things, but nothing like the world Leda Meredith, urban forager, opened up for me. Most people fantasize about crisp asparagus, stalks of tender rhubarb or sweet, juicy strawberries as spring draws near. I might be the only exception. 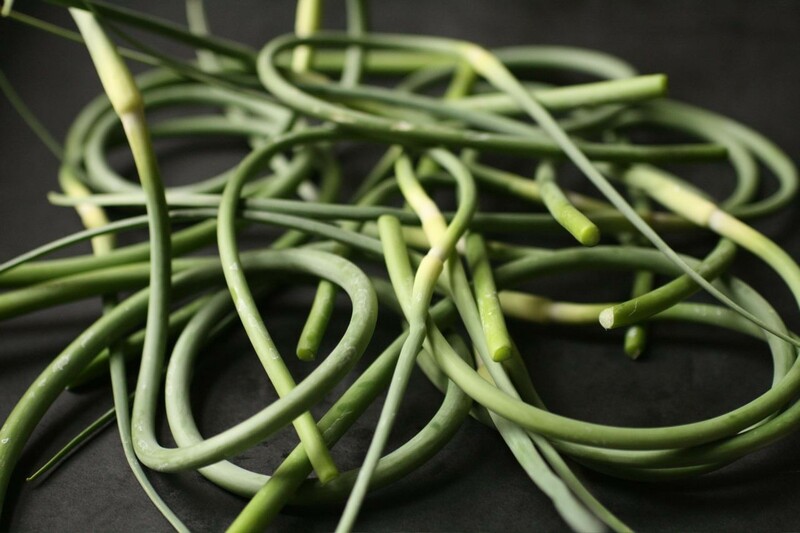 As soon as the weather starts to warm and greenmarkets gradually switch their produce offerings from cellared root vegetables and apples to bright greens that signal Spring is here to stay, I have only one thing on my mind: Garlic Scapes. Whether you’re ready or not, fall is just around the corner. 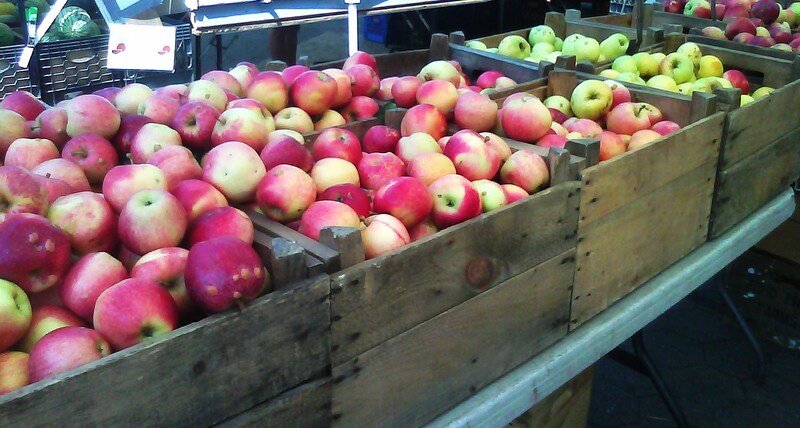 Recently spotted at the Union Square Greenmarket–fresh crops of apples! I know you can get apples year round, but I’m sorry, a winter, cellared apple has nothing on one fresh off the tree. Macintosh, Gingergolds and Empress among others are being spotted everywhere in the markets. These were spotted at Samascott Orchards stand, every Friday at Union Square. Or visit your local greenmarket and check out their apple selection. Fresh crops are HERE! Each year I wait anxiously until the heirloom tomatoes arrive at Fort Greene’s Greenmarket. They’re just stunning. Every shade of red, green, pink, purple, yellow…it’s like a rainbow of tomatoes. To be honest, this is one of the few items I buy consistently, and I don’t even know what farm they come from! I’m so in awe of the colors and the stand gets so crowded that I forget to ask. But trust me, this time of year, at the corner of Washington and Dekalb, you can’t miss them! 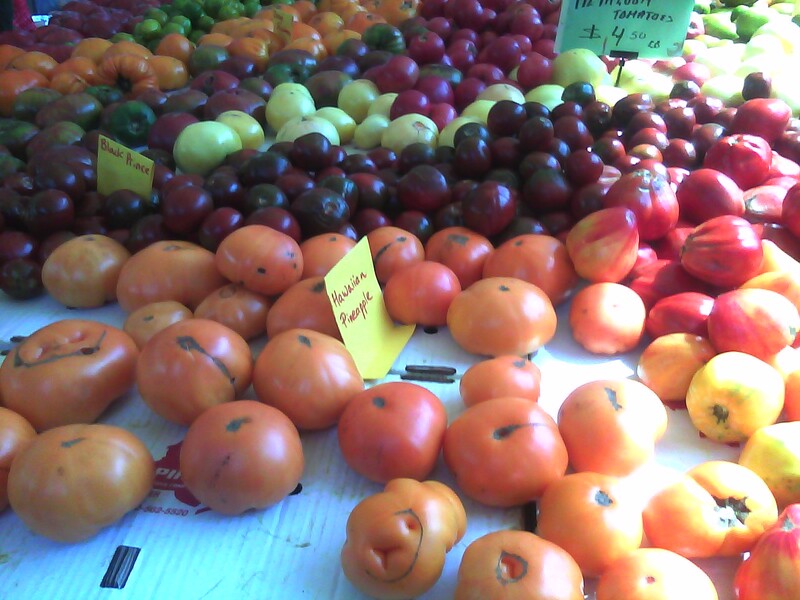 BONUS: They’re also selling bushels of canning tomatoes–round for $12 and plum for $15. In case you’re looking to can some tomatoes. I got one bushel this week to start, but I WILL be back. 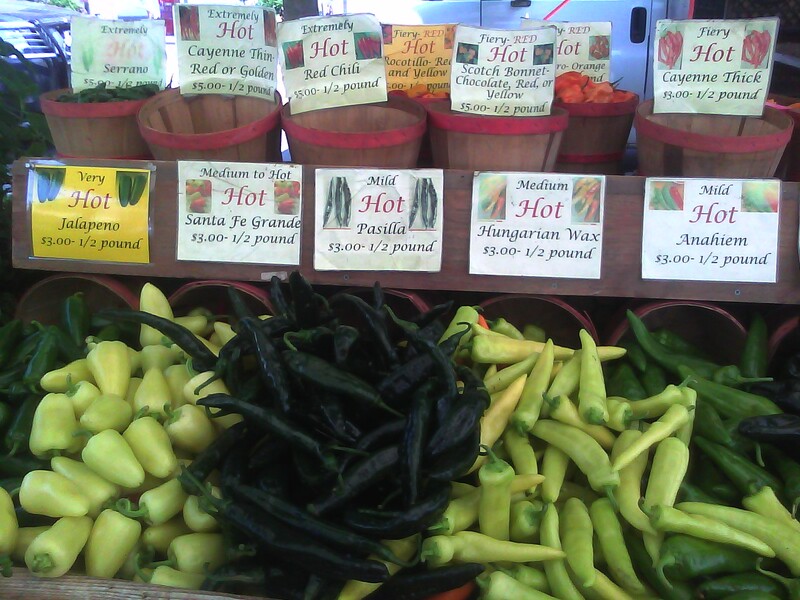 Greenmarket Pick of the Week: Got Peppers? If you’re in need of peppers, Oak Grove Plantation in Pittstown, NJ is the place to go! From mild grilling peppers to extremely hot serrano peppers (I’m a bit nervous for these ones) and everything in between. Spotted at the Friday Union Square Greenmarket.